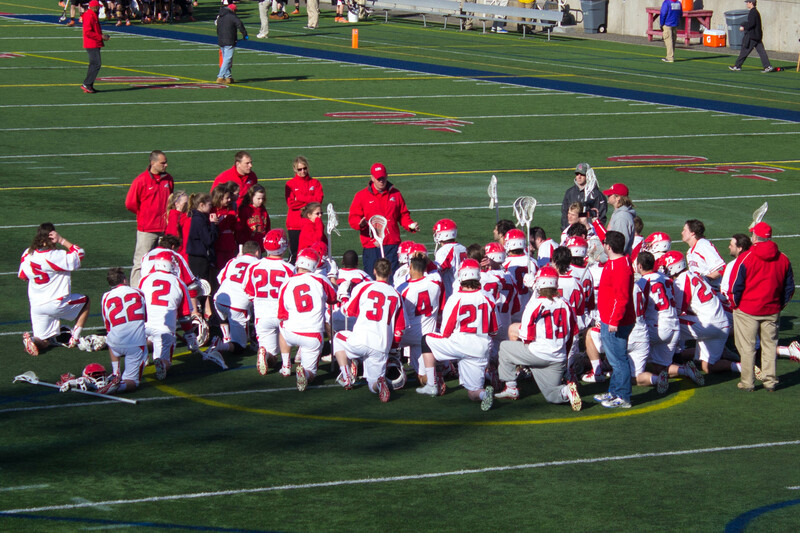 Nothing seemed to have been working for Stony Brook Men’s Lacrosse on Saturday, as the team lost 15-8 in their visiting debut against No. 16 Penn State. Going into the second half, the Seawolves found themselves down by four goals after the Nittany Lions snuck a goal with just two seconds left in the half. The scenario was similar to their last matchup against Sacred Heart, where the team trailed by five. The Seawolves suddenly stepped up their offensive pressure, taking 14 shots in the third quarter, six more than their first-half total. Two goals came from the offensive barrage, yet Penn State still snuck a goal past freshman goalkeeper Ryan Erler with seven minutes remaining in the third period. Erler finished the matchup with five saves and 13 goals allowed. Heading into the final 15 minutes of regulation, Stony Brook found itself down by just three. Sophomore midfielder Chris Pickel, Jr. opened the scoring 1:05 of the fourth quarter up with his third goal of the game, closing the Penn State lead 9-7. The momentum came to a close, however, as Penn State notched two goals in just 11 seconds, less than a minute after Pickel’s goal. The Nittany Lions would go on to put on four more goals in the final period, sealing the fate for the Seawolves in their second straight loss. This defeat marks the first time the Seawolves have started their season off with two straight losses since the 2012 season. The No. 16-ranked Nittany Lions dominated control for the majority of the matchup, nearly doubling the amount of Seawolves ground balls, 38-20. Despite the score showing otherwise, both teams displayed equal opportunities at the goal, as the shot totals for both teams were about equal. Penn State outshot Stony Brook 35-29 in the matchup and 21 of Penn State’s shots were on net, compared to Stony Brook’s 18. A trend through the past two games for Stony Brook has been playing from behind early on in its games. Against Penn State, the team fell in a 3-0 gap in just the first 1:03 of the game. In its first matchup, the team found itself in the same scenario, as the Pioneers tallied three straight goals to put the Seawolves in an early deficit. The Seawolves finished the first quarter down 6-3, the second consecutive game where they have given up five or more goals in the first 15 minutes. Despite the loss, Nagle sees this matchup as a learning peg for his team. “We are a young team that will use this [game] to get better,” Nagle said. Stony Brook looks to regroup and start a winning course in its next matchup at home against No. 18 Brown University on Saturday, Feb. 24 at 1 p.m. Brown was ranked fourth in the Ivy League Preseason Poll and currently holds a 0-1 record.